E-commerce is a tremendously dynamic environment, with customers growing extremely demanding towards the brands they choose. This process is not surprising at all, yet many merchants tend to underestimate the new Internet rules that lead to long-lasting business success. The truth is that in a highly competitive market, you always need an additional approach to win your clients. Some kind of a “door”; an opening that will have them discover your brand from a closer perspective. A space that will make them feel like they are a part of a shared experience. Along with that, it would be great if you could create another information channel you can utilize to a) promote your products and b) distinguish yourself from your competitors. Creating a blog (and maintaining it frequently) is an effective solution to all those new challenges posed at your business. If you want your online shop to be truly completed, a smartly kept blog should be a key point in your overall strategy. Simply put, a blog is the virtual space where you post publications containing information that is of interest to a specific audience. Blogs tend to focus on discussions, with their visitors being able to leave comments and talk on the topics at hand. In the context of eCommerce, blogs are shaping as a crucial part of the image a proper brand would like to have online. Your business blog serves as a “bridge” between your company and your clients or fans. At the same time, it boosts your website’s popularity in search engines such as Google, Bing, or Yahoo. What (and how) can I post on my online shop’s blog? Your clients like information that brings value to them and their interests. Think about their needs. Do they want to see the “human” side of your business, such as the history of your business journey up until now? Or would they rather read a bit more on your product catalogue and your products’ charasteristics? Maybe they are looking forward to getting some tips and directions from you in the role of an expert in your niche? Your clients also cherish information that is interactive. If you decide to write on your products, always insert quality images in your blog posts. You have some cool stats you want to present to your audience? Why not do an infographic that will engage users’ attention much more effectively. Endless chunks of text tire a user’s eyes and they don’t stimulate attention as strong as bold visual content. Information isn’t always limited to just you and your brand. As a company, you’re operating in the context of a whole industry (niche). Your clients are interested in you, but they are also following the trends on a macro scale. Help them out: publish posts dedicated to recent news and events in your industry. Discuss a pressing issue. Share your opinion on the future of your market. Don’t be afraid to go above and beyond the limits of your business! Let’s take a pretty standard scenario for an example: an online clothing shop. In your company blog, you can publish posts focusing on specific products of yours (with images!). But you can also write a Top 10 post on the most interesting clothes found in the “Autumn-winter – ’15/16” collection, and the trends you’ve noticed. Both would be of value to your readers. What do I benefit from if I have a blog? Increased traffic. Keeping your blog updated regularly by publishing content – especially if you use proper keywords, doesn’t go unnoticed by search engines. Your website’s better indexing and ranking leads to more visitors. More visitors lead to increased sales. Bearing in mind that we are in a social media craze currently, every single blogpost that features quality, captivating information, is a candidate for viral sharing. If that happens, you have an additional source of increased traffic (and users’ attention) for your business. Reinforcing your brand’s positioning. The blog is the place where your clients can communicate with you (and vice versa). Every discussion, every single bit of useful information brings your business and your customers closer. In turn, this increases their loyalty and satisfaction with what you do. Think of your blog as a slightly underrated, but highly effective “extension” to your business’s official image. Additional opportunities to showcase your products in detail. Every user likes to be informed as much as possible before making a purchase. The more arguments you give to your clients that your products are of value to them, the better. Your blog is the perfect place to do some detailed reviews of your product line, accompanied by hard facts and stunning visual content (images, video). Don’t be afraid to be extensive and as detailed as possible! How hard is it to keep a blog? The answer varies in accordance with your online shop’s specifics, your workforce potential, and your schedule (business). Some businesses prefer to manage their blog alone. Others enlist the services of freelance writers to perform content management and article writing. Third ones would rather hire a 3rd party company to take care of that. The platform where you will base your blog. Most of the time, this is WordPress, due to the extensive traditions of the software when it comes to blogs and websites. Aside from that, WordPress is free, easy to use and customize, and takes pride in hordes of functions, extensions and modern templates. Some online shops choose to pick alternative choices such as Shopify or Squarespace. Content. As we mentioned, it can be either written by you or by a freelancer you have hired. It’s recommended to focus on quality, extensive content (no short articles hovering at around 200-300 words) that is both engaging and filled with proper keywords. Being informative is also key. A visual element. Some brands outright hire a graphic designer whose role is to complement the texts with finely crafted infographics, images, or other visualizations. Studies show that visuals are of great importance to users and how they absorb the information you are targeting at them. Consistency. The way you keep your blog and update it should follow a certain frame; a certain theme. Otherwise, it won’t be as effective. How frequently will you post content: every week or every few days? Will your blog be separated into specific topics and columns? What would your style and tone be? All of these – including many other small details, define the “difficulty” you will have with keeping a quality blog. But if we are to be honest, in many cases this is a very easy task that will bring only benefits for your business. 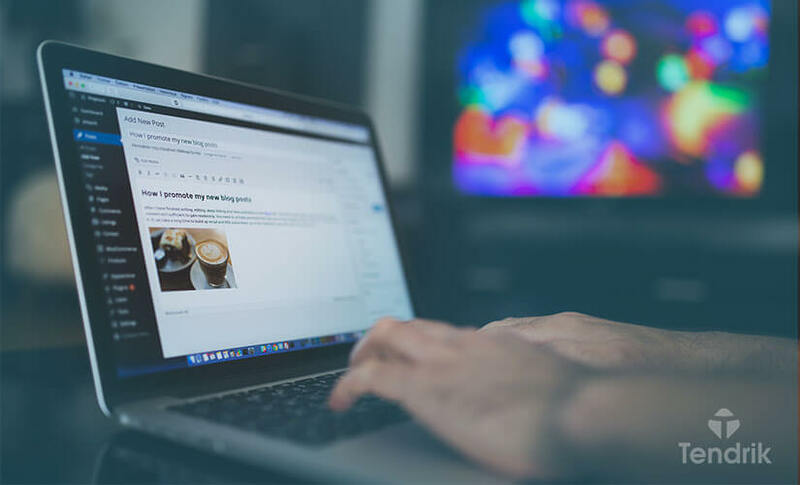 Blogs have been an integral part of the Internet for the last 20 years and you can rest assured that their importance won’t diminish anytime soon. On the contrary – they are becoming more popular and needed, albeit going under slight cosmetic transformation. The eventual effect Vlogs will have on your business is tied to the specifics of your online shop. For many brands, Vlogs are a good way to create detailed reviews of their products. Others tend to focus on specific feature videos (similar to a handpicked, niche news broadcast.) At any rate, your business is getting a guaranteed additional source of traffic – one connected with the social video platforms like YouTube or Vimeo. No matter what your market niche is, it is crucial that you think of setting up a blog or a Vlog as an integral part of your strategy for communicating with your customers. Not only will you increase their interest in your company, but you will establish a more personal connection with them, increasing brand loyalty. Your benefits here are numerous.